Voters turned out in primary elections across Ohio, Kansas, Michigan, Missouri and Washington on Tuesday. Any conclusions drawn from primaries three months out from a midterm vote are written in the wind. That does not stop the press from naming "winners and losers," who's up and who's down. Here's a common sense guide to this week's votes. 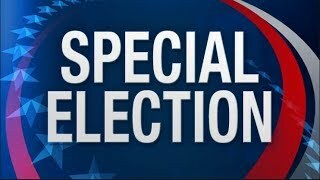 The special congressional election in Ohio-12, a strongly Republican district grounded in the northern suburbs and rural areas surrounding Columbus, ended in a dead heat. The hapless Republican candidate, Troy Balderson, led by about 1,700 votes with more than 8,000 absentee and provisional ballots yet to count, despite $4.5 million poured in by the NRCC and the Republican Congressional Leadership PAC, as well as open support from Donald Trump and Ohio Governor John Kasich. According to the analysts at FiveThirtyEight, in House and Senate special elections over the last two years, Democrats have averaged a 16 point swing in their direction. Ohio 12 fits this mold. There are 47 Republican congressional districts with less of a Republican tilt than Ohio 12. When Republicans have to throw in the kitchen sink to gain a virtual tie in a district like this, they are in big trouble. Preliminary results from Washington State reinforce this point, with sitting Republican legislators, including Rep. Cathy McMorris Rodgers, the only woman in House Republican leadership, running neck and neck with Democratic challengers in the Washington top two, all party open primary system. And across the primaries, women, particularly Democratic female candidates, continue to fare well. This undoubtedly reflects both the energy coming out of the resistance to Trump and the #MeToo movement as well as voter skepticism about political corruption, with women generally perceived as fresher, less compromised candidacies. Trump rouses Democrats; he also rouses his own base. In Republican primaries, his endorsements carry weight. His choice for the Republican nominee for Governor and Senate in Michigan both won. His endorsement lifted the right-wing extremist Kris Kobach into a dead heat with the favored Gov. Jeff Colyer for the Republican gubernatorial nomination in Kansas. These results will make the already cowering Republican congressional representatives even less likely to stand up to Trump's outrages. And they ensure that the Republican campaign this fall will be nationalized, racialized, and ugly. The mainstream media decided the Sanders-Oscario-Cortez left were big losers on Tuesday. "The liberal resistance hits a wall," Politico trumpeted. It was a "bad night for the far left." Sure, strong progressive populist candidates suffered visible defeats. Abdul El-Sayed lost the Michigan gubernatorial primary to the more experienced and better-financed Gretchen Whitmer, an Emily's List candidate backed by the United Auto Workers. In Kansas 3, Brent Welder -- whom Sanders and Oscario-Cortez stumped for -- was defeated by Sharice Davids, a Native American former Mixed Martial Arts fighter and Obama White House fellow. In Missouri, the long-shot effort by Cori Bush to displace incumbent Democrat Lacy Clay fell short, and the victory of James Thompson in Kansas 4 was discounted because he'll be a long-shot in the general election. Rashida Tlaib, a Palestinian American, will become the first Muslim woman in the Congress, having won the primary to replace John Conyers in Michigan 13, yet her victory got less attention in part because it's a deep blue seat in a primary contested by several progressives. The reporting on these races ignores the reality that insurgents are almost always long-shots: They are opposed by established forces and deep pockets in the party. They are usually less experienced. They are propelled by movement energy, but often have to build their own operations of volunteers and small dollar fundraising from the ground up. Insurgents bring new ideas to voters in primaries, where few are paying attention. And many of the progressive groups now getting into politics are relatively new to the game, just learning how to use the greater energy and activism and membership that is being unleashed. Tracking the won-loss record of an insurgent movement doesn't get it. What's stunning is when a challenger like Oscario-Cortez overcomes the odds and wins. That has far greater import than several defeats. Those victories generate excitement, mobilize more energy, help educate citizens -- and move incumbents to adjust their stances. Strong challengers who lose have a similar sobering effect on incumbents. If the movement keeps building, they will become more and more responsive, if only to avoid the near death experience the next time. For the insurgency, the big question is less the won-loss record than what is getting built. Are people touched by the campaign organized into a continuing presence? Does the energy unleashed move into issue campaigns and accountability campaigns? Is the experience gained by candidates, campaign aides, volunteers, and grass-roots groups valuable for the building more power in the district or state? Will we end up better able to drive issues and support insurgent candidates for the next round? Finally, the places where the insurgency is making the most headway is in races far below the headline congressional and senate primaries -- for city and county councils, city attorney generals and the like. For example, in the race for St Louis County Prosecuting Attorney, Wesley Bell -- backed by the Organization of Black Struggle, the St. Louis Action Council, the Color of Change PAC -- defeated in a stunning upset the 27-year incumbent Bob McCulloch, the prosecutor who failed to bring charges against the police who killed Michael Brown. Bell, the first African-American prosecuting attorney in the county, ran on a strong reform agenda. As this is written, the results in local races are still being gathered. One thing is clear: the left has only begun to build -- and, as illustrated by the pre-presidential candidates wooing activists at the NetRoots Nation conference in New Orleans -- those who would lead the party understand that reality. In a remarkable initiative in Missouri, voters overturned the right-wing "right to work" law by a two-to-one margin. Right to work laws are designed to undermine unions, enabling workers to benefit from the wages and rights negotiated by a union without paying union dues. 28 states now have right to work laws, with conservatives and corporate lobbies driving them across the country. In Missouri, the "Show-Me" state, voters saw through the sham. Unions were able to build a broad coalition and make their case. The vast majority of Missouri voters voted to strengthen unions, not weaken them. The energy that has come out of the teachers' uprisings across the country continues to spread. Inertia dominates voting in America. Political pros will tell you that those who have voted in the past are more likely to vote in the future, and those that haven't voted, seldom do. Those who vote Republican -- whether registered as Republican, independent, or Democrat -- tend to continue to vote Republican. Same for Democrats. The pros are generally skeptical about persuasion. They focus on identifying and reaching those likely to vote who have voted for the party's candidate in the past. The votes in 2018 -- like all midterm races -- will feature lower turnout than a presidential year. The central question will be who turns out to vote? The 2018 elections will be nationalized; Trump and Republican PAC money will guarantee it. Trump will mobilize his base -- and promises to spend a lot of time on the stump galvanizing them, and slandering Democrats. In Ohio, voters in the more affluent suburbs close into Columbus turned out in greater percentages than in the far more pro-Trump rural areas, with pundits suggesting this poses problems for Republicans in the Fall. But Trump's promised active involvement on the stump -- and what inevitably will be ever more polarizing rhetoric -- is likely to help bring out his voters. Trump will also help mobilize Democrats -- as demonstrated in the special elections to date. Hopefully, his noxious presence will also move some of the more appalled Republican voters to stay home. The challenge is still to get Democrats and independents -- particularly the young, single women, people of color -- to turn out on election day, to get those not accustomed to vote to be excited enough to go the polls. Historically the turnout of these constituencies falls off in midterms, leaving an electorate that is older, whiter, more affluent and more conservative than in presidential years. Here the energy of the insurgency, the passion of the resistance movements, and the ability of Democratic candidates to state clearly a message and agenda that gives working people reason to vote are key. If Democrats are to take back the House, it will take more than revulsion at Trump. We are three months out. Democrats better hope the insurgency continues to build.